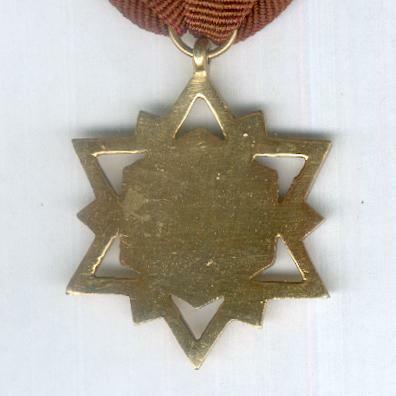 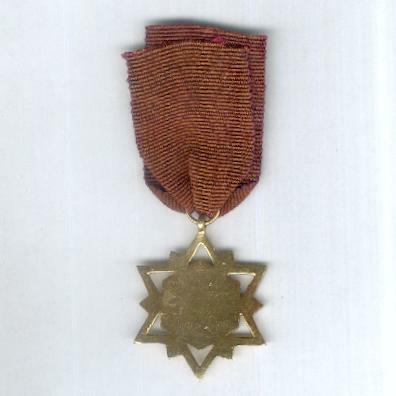 Six-pointed bronze star with a central hexagonal plate and six hollow points radiating, a point in the v of each arm, with loop for ribbon suspension; the face with a central silvered hexagonal medallion bearing the flag of Nepal in blue and red enamel above crossed kukris; the reverse plain; on original ribbon. 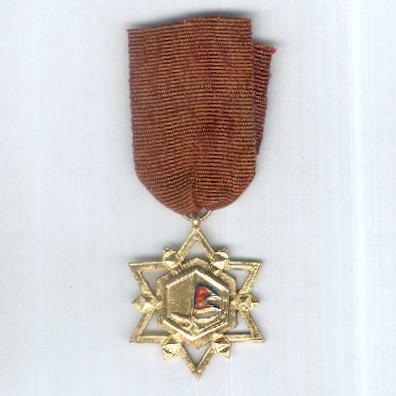 The Decoration was instituted as long ago as 1937 (BS 1994) and was awarded for 25 years’ blameless military service. 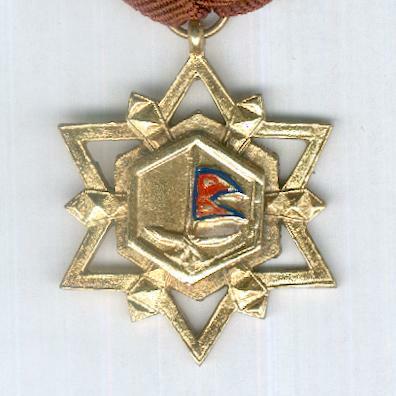 Following the abolition of the Nepalese monarchy in June 2008, the Decoration is no longer awarded.